Preparing ahead for radiation therapy for breast cancer, whether radiation after a lumpectomy or after mastectomy, can pay off in spades later on when you begin to experience fatigue and the visits become tiresome. Check out these tips to ensure you have the best experience possible. Radiation therapy usually begins three to four weeks after lumpectomy surgery to remove a breast cancer, and is used to eliminate any remaining cancer cells in the breast or armpit area. Radiation therapy may also be used after a mastectomy in women who have positive lymph nodes, but in this case is usually done after chemotherapy. External Beam Radiation: a traditional approach to delivering radiation. Treatment usually takes several weeks with a Monday through Friday schedule. In certain instances, a shorter treatment regimen, called accelerated radiation, is used, and involves the delivery of a higher dose of radiation over three or four weeks. Daily treatment with external beam radiation consists of set up time and positioning activities followed by receiving radiation; a process that only takes a few minutes. Treatment is painless, but fatigue tends to worsen as time goes on. Internal Breast Cancer Radiation: Brachytherapy or internal radiation is a newer treatment that injects radioactive treatments only in the area that was affected by the breast cancer. There are several considerations in planning ahead for these treatments. Many people continue to work and care for their home during radiation therapy, but this can be challenging, especially when the fatigue hits in full force later in treatment. Don't plan any major projects during the weeks of treatment. If the plan is to work during treatment, know that when the cumulative effects of treatment set in, adjustments may have to be made, such as: a shorter work day, rest periods during the day, and an earlier bed time. Many people want to be the hero that can do it on on their own, but with breast cancer, sometimes the most courageous act is to ask for help; sometimes lots of it. Speak with family members, friends and neighbors you are comfortable sharing about your cancer and your upcoming radiation treatment. Accept offers of help with things like grocery shopping, laundry, errands, meal prep and child care. Most people want to help and prefer being told what they can do to help. Come up with a schedule of what help will be needed and when it will be needed. Radiation has a cumulative effect. There will probably be no decrease in energy or other side effects for the first several sessions. Online sites such as lotsahelpinghands can be priceless, in that it spares many phone calls. People can sign up to help with child care, to bring meals, or to give you a ride to radiation, and those who want to help but have not yet signed up can see where you most need help. Many people try to delegate to the weekends what doesn't get done during the week, but this can lead to exhaustion. Make your number one weekend priority be to rest and heal, rather than trying to complete your to-do list. It's important to eat healthy, well-balanced meals throughout radiation. Unfortunately, as fatigue worsens, some people become too tired to eat. Allowing family and friends to bring meals, and stocking up on easy to prepare foods before radiation can help when those times come. This is also not the ideal time to try and lose weight. You need your strength or your body needs to nutrients to repair itself after each treatment. It's also important to get enough protein for healing, and if you eat a vegetarian or vegan diet, you'll want to be extra vigilant about getting your protein. It's important to eat a healthy diet rich in fruits and vegetables, but may not be wise to use antioxidant supplements. Radiation works by creating oxidative stress to kill cancer cells. You don't want to protect your cancer cells from radiation. While many people seem to have an idea what to expect with surgery and chemotherapy, it seems some are surprised at how radiation affects them. Unlike scars with surgery and hair loss with chemotherapy, the effects of radiation are less visible. Talk about what to do if you develop skin redness and rashes, and ideally how to prevent this. If you had a mastectomy and reconstruction, talk about how the radiation may affect your healing, as well as the risk of infection if you develop open sores. Make sure you understand not only the short term side effects, but the potential long term effects of radiation therapy. Your skin can become tender as radiation goes on, and loose-fitting camisoles and tops will be most comfortable. If you must wear a bra, make it a comfortable one and place a soft cloth between your bra strap and skin. Don't starch your blouses or shirts, and use a mild laundry detergent when washing your clothes. It's important to keep your skin clean and dry during radiation. Your radiation oncologist can recommend soaps and lotions to use that won't interfere with treatment or worsen your symptoms. When showering or taking a bath, gently blot your skin dry and don't rub.Don't use any lotions, powders, perfumes, soaps or deodorants on the area being treated without checking them out first with your doctor. When bathing, use lukewarm water and avoid extreme hot or cold. Sunscreen can sometimes irritate skin treated with radiation, and it's ideal to use conservative measures to protect yourself from the sun, such as long sleeves, a hat, an umbrella, and avoiding the mid-day sun. Keep in mind that you may also burn more easily during radiation. We are often are worst critics when it comes to things we aren't accomplishing. Be good to yourself and forgive yourself for not having energy this time. When you feel up to it, go out with friends and family and have some fun. Get as much sleep as you want and need after radiation. Fatigue can last for up to six weeks after treatment. When the "what ifs" get the best of you, turn to a fellow survivor or trusted family person and talk until you get things in perspective again. Once treatment is over, fatigue will fade away. It will happen gradually; it may take time to return to your energy level prior to radiation therapy. Taking the time to prepare not only physically but mentally for radiation can pay off when the fatigue hits full force. While the treatments may seem to go on forever, in reality it is just a short hiatus from life. Let yourself rest and pamper yourself as you would a good friend. National Cancer Institute. 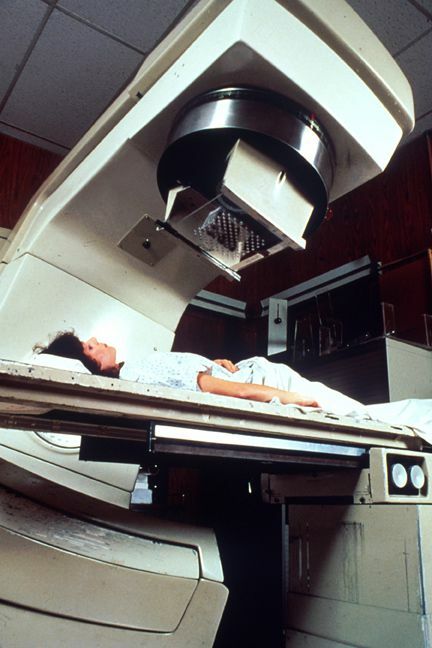 Radiation Therapy to Treat Cancer. Updated 01/18/19.